Philippe Starck monument to elegant dining near Monaco. 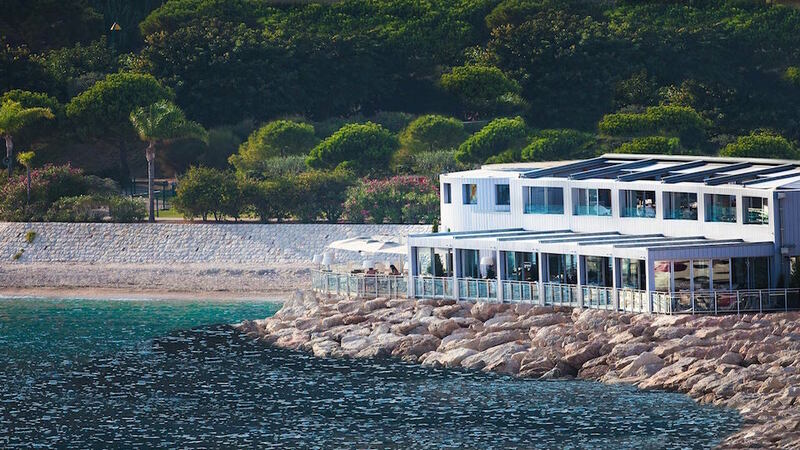 Composed by world famous designer Philippe Starck, A'Trego is a deliciously luxe waterside, boat-style bar and restaurant poised atop the marina of Cap D'Ail. It's a splendid and welcoming entry to Monaco that benefits from proximity to the epicenter of indulgence and luxury in Europe. The setting is idyllic. Gorgeous uninterrupted views of the Mediterranean are framed by a sophisticated and classy design of rich mahogany floors, local tchotchkes and memorabilia-filled walls. Another dramatic view is of the bustling open kitchen, which adds warmth and energy. The outdoor terrace is for chic snacking and indulging in cocktails in the open air. The crowd here is vivacious, privileged and open to extravagant dining experiences. Live music is a regular weekend attraction. The elegant three-story building also houses an additional restaurant and Cargo de Nuit, a members-only bar. Enjoy lunch or dinner from a menu of regional Provençal specialties and wood-fired cuisine standouts. Ingredients are locally sourced for superior quality and freshness. Traditional recipes often feature intriguing twists, such as roasted black cod with miso sauce, truffle-fried potato strips, and spaghetti alle vongole with seasonal herbs. The dessert menu showcases French classics, including a deconstructed lemon tart. The wine and spirits list is suitably lavish. Service is friendly and impressively professional. 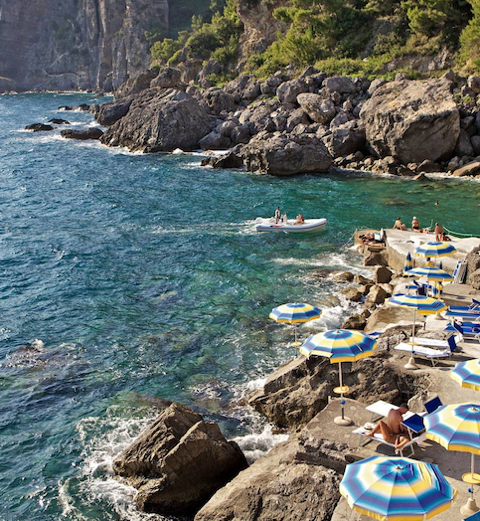 Perched majestically on the ocean and conveniently on the doorstep to Monaco, A'Trego is a Philippe Starck-designed monument to elegant and casual fine dining.